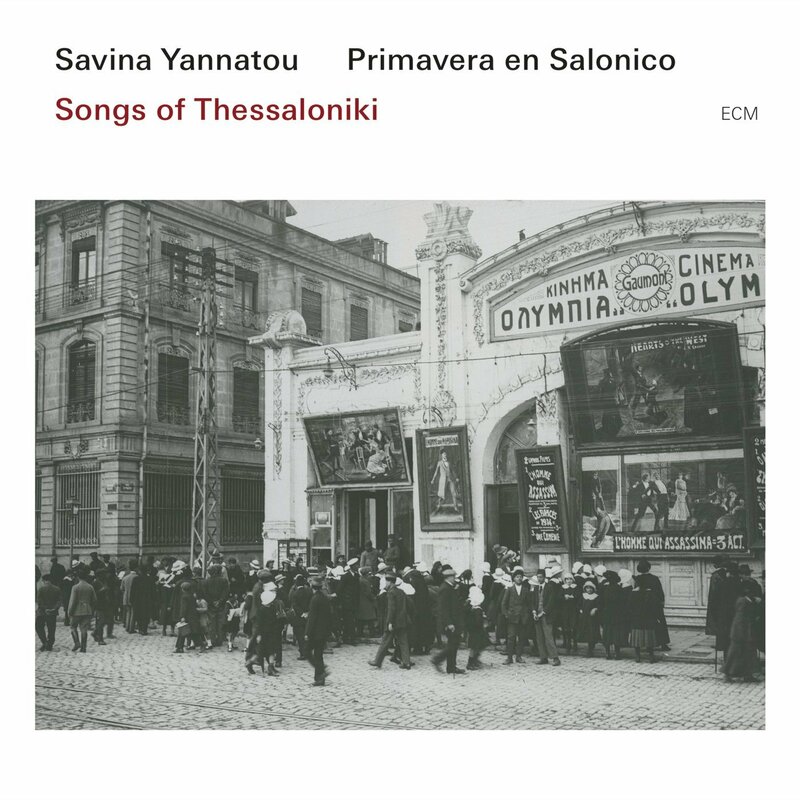 Songs of Thessaloniki marks the fourth appearance of Greek singer Savina Yannatou and her second-nature ensemble Primavera en Salonico. Characterized by the artists as “canvases for our imagination to create contemporary narratives on old myths,” the songs gathered here make for an appropriately multicultural portrait of Thessaloniki, a city where Orient and Occident have long blended at a crossroads of actions, peoples, and politics—a city, incidentally, Yannatou’s band calls home. Most importantly for the purposes documented here, it was a place where music could always be heard and can now be heard again. When the first strains of “Apolitikion Agiou Dimitriou” caress your ear— strings, bellows, and lungs yielding Yannatou’s lullaby out of time— you may just feel at home as well. As a Greek hymn of St. Demetrius, patron saint of Thessaloniki, it paints a door deepest blue and welcomes us as we are. Ironically enough, and with exception of this hymn (and its instrumental variation which concludes the album), the Greek material on this album is tepid by comparison to its extra-cultural counterparts, even as it draws vital connective tissue between the same. Thessaloniki’s historical influx of Sephardic Jews (Thessaloniki was, in fact, once known as the “Jerusalem of the Balkans”) is reflected in a formidable assortment. 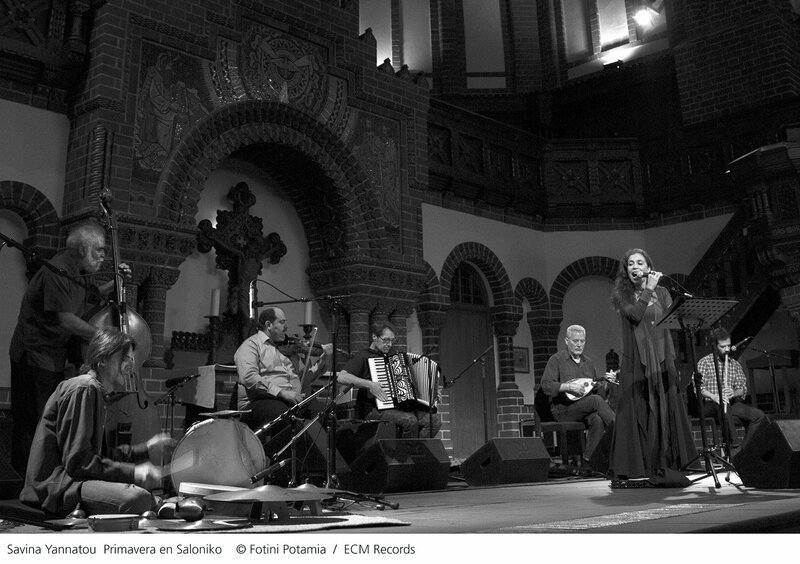 These songs especially reflect the arranging skills of Kostas Vomvolos, who also plays accordion and qanun throughout the recording. Yannatou’s chameleonic abilities have rarely sounded so organic as they do here. Whether in the childlike whispers of “A la scola del Allianza” or the qanun-accompanied “Una muchacha en Selanica,” she finds rawness of emotion in the simplest phrase and, by contrast, treads ever so lightly on danger—as in “La cantiga del fuego,” which tells of a great fire that swept the city in 1917. More intense theatrics wait in the wings of “Dimo is Solum hodeshe,” a Bulgarian example that finds accordion, violin, and nay in artful concert. Two Turkish tunes, one as hymn and the other as folksong, give further context to Yannatou’s intrepid singing. In “Iptidadan yol sorarsan,” voice and nay practically become one, Yannatou sounding more like the flute, and vice versa, while halting rhythms and surreal beauties in the violin make “Çalin Davullari” a standout sojourn. There’s even an Irish folksong, “Salonika,” which dances, tongue-in-cheek, in the midst of war. Yet few moments can approach the mastery of “Inchu Bingyole mdar?” and “Qele-qele,” both collected by the great Armenian composer Komitas. In both, the oud makes grander statements of purpose as it sweeps away the sand at Yannatou’s feet, allowing her to process into the distance, where, like the ancient Serbian tree of “Jelena Solun Devojko,” she stands until she dispels specters of violent pasts by virtue of her keening ways.